Mehmed II (1432-1481) - The Ottoman emperor who conquered Constantinople at the age of only 21, thus earning the title Mehmed "the Conqueror". Muslim empires (and before that, the Sāssānid Empire) had tried for centuries to conquer Constantinople. In 1453, Mehmed succeeded (see Fall of Constantinople above). He became sultan permanently when his father, Murad II, died in 1451, but that was not his first stint as ruler. In 1444, at the age of only 12, his father put him in charge as he went off to campaign against Christian armies. He reigned for two years until his father returned in 1446. 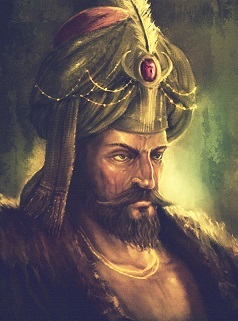 History has shown that Mehmed was very ambitious and there were rumors that he had entertained ideas of attacking Constantinople at that time (probably untrue). But when he became sultan for good, he almost immediately began making preparations for a siege on the Byzantine capital. Although the capture of the city is his most famous conquest, it was really just the beginning of a long line of expansion on which he embarked. After Constantinople, he began moving into Eastern and even Central Europe. In 1454, he began a campaign into Serbia which was a vassal state of the Hungarian Empire. It took five years and Mehmed suffered a humiliating defeat against the Hungarian warlord, John Hunyadi, at the Siege of Belgrade in 1456. But by the summer of 1459 he captured the city of Smederevo and Serbia was his. The following year he traveled into the Greek Peninsula which was under the control of the Despotate of Morea, and conquered it. Then he moved east and added most of the west coast of the Black Sea to the Ottoman Empire. About the same time he began his infamous war with Wallachia. 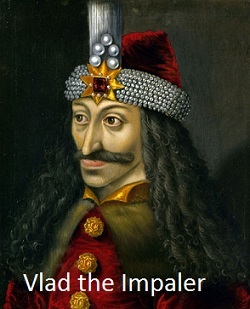 Wallachia was ruled by the even more infamous, Vlad III Dracul, also known as Vlad the Impaler. His epithet was earned by his sadistic fondness for impaling enemies on stakes, both for retribution and personal pleasure. Trouble began in 1459 when Mehmed sent envoys there to collect tribute. Not only did Vlad refuse to pay, he had the envoys killed by nailing their turbans to their heads for failing to remove them in his presence. Mehmed responded by sending an army in early 1462, but Vlad set an ambush and took most of the Ottoman soldiers alive. It was to their misfortune. He intended to send a message to Mehmed by impaling 23,000 men in the land between the two kingdoms. Later that year, Mehmed approached with another army and was horrified to see the rotting corpses of his fellow countrymen dangling from stakes. The sight was nearly enough to cause him to withdraw his army. But his commanders convinced him to press on and he captured Wallachia by the end of the year. Vlad III is the historical character on which Bram Stoker's Count Dracula is based. The next year Mehmed conquered the Kingdom of Bosnia. Then he began a long protracted war with Venice. It lasted 16 years, resulted in a victory for the Ottoman Empire, and severely weakened the Italian city-state. Although Venice itself was not in danger, the Ottoman navy replaced it as the top naval power in the Eastern Mediterranean. It also wrested the province of Albania from the Republic Venice and added it to its own empire. It should be noted that the Ottoman conquests on the Balkan Peninsula in the 15th century laid the groundwork for the ethnic violence that took place there in the 1990s. In 1475, Mehmed captured the Crimean Peninsula which had been colonized by Genoa. This was practically inevitable considering control of the Bosphorus by the Ottomans disrupted travel between the city and its colony. In 1480, Mehmed made a bold move and invaded the Italian Peninsula. He didn't lead the forces personally, but his army captured Otranto on the heel within a few weeks. However, Mehmed died in 1481 which brought the invasion to a halt. Papal troops quickly recaptured Otranto and eliminated the Ottomans foothold on Italy.